Auto financing is a lucrative business with lenders extending car loans to a variety of consumers from those with excellent credit all the way down to sub-prime borrowers. The Great Recession forced lenders to pull back, but they are now back in the game with car dealers working as middlemen to ensure that you drive away in the car of your choice. And it is that middleman position that sometimes has consumer advocates frustrated. Auto lending is a $600 billion per year industry in the United States, one where lenders, investors and dealers are eager to share in the bounty. Your car dealer, therefore, is hardly an independent voice when it comes to new car financing. Read on and we will look at what some dealers won’t tell you when you sit down to discuss finance deals. Your three-digit credit score offers a very telling number to car dealers that arrange your financing. Trouble is, many consumers have no idea what their credit score is when they go car shopping. All three credit reporting bureaus — Equifax, Experian and TransUnion — can give you your FICO score for a small fee. You trust your dealer representative to quote you your actual credit score, but some could supply a different score effectively putting you in a bad credit car loancategory. Thinking that you won’t get financed and therefore be without a car, you agree to the higher interest rate auto loan. Tip: Always check your credit score before you begin shopping for a vehicle. What type of car loan are you getting? You may think that you are getting a good deal based on a competitive monthly rate, but on closer scrutiny you may find that the terms really are not so favorable, at least not to you. To bring your payments in line with what you can afford, a dealer may stretch out your loan terms from 5 years to 6 or 7 years. Or, you may find that your payments are low and your term short, but discover that a lump sum balloon payment is due at the end of the loan term. 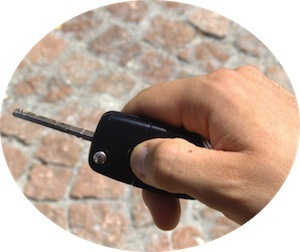 When talking auto loan with your dealer, examine the finance deal very carefully. Understand the amount of money that you must put down. Know the interest rate and the length of the loan. Everything should be clearly spelled out and acceptable to you. 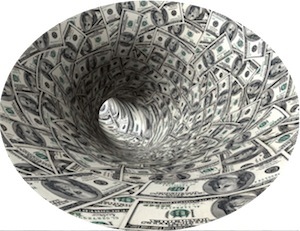 One area where consumers get it wrong has to do with cash incentives. Rarely do you get both a cash incentive and discounted auto financing. Know that not every cash rebate is worth it. Then again, if you arrange for low rate financing with your credit union or bank, then apply the rebate to your down payment. Ask your dealer about other rebates including specials for recent college graduates, military service personnel, veterans and other promotions. In the last point, we touched on arranging your financing before heading to the dealer. This is important because it gives you a clearer picture of what you can afford and what your loan terms will be. It can also serve as an instructional lesson for car shoppers as they understand what options are available to them based on their credit scores. Know that car financing comes easy today with even bad credit or subprime borrowers finding themselves eligible for a loan. In these cases, where your credit score is below 580, your traditional lenders may not be interested in underwriting your loan. Such subprime lenders include Wachovia, Capital One and Ally Financial, along with the financing arms of Toyota, GM and Ford. Smaller lenders are many and include Nationwide Auto Lending, Drive Time, Prudential Auto Loan and BlueSky Auto Finance. Even if you qualify for a loan you will always be charged a higher interest rate and pay more for a car then you might imagine. Please know that not all dealers are rip-off artists. However, when taking on the role of car loan financier, your best interests may take second place to the dealer’s bottom line. 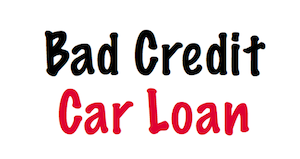 Know what you are getting into before shopping for a car loan, looking at financing options from other lenders too. That means using a car finance calculator to learn what you can afford before heading out.